St Patrick was a visitor here and a metaphor for the brilliantly disruptive power of modern emigrants. A new breed of Irish big hitters has emerged over the last few years and they have, at times, bypassed the old industry structures, to become huge names in their fields globally. As the world honours St Patrick, and these Irish are making their mark out there, sometimes more so than here - a theme with all of the names we have selected here is that they achieved renown as members of our rich diaspora. Whether by tapping into the enormous music audience of streaming services like Spotify or in experimenting with the gargantuan YouTube and Instagram followings, brilliant young creatives like David O'Reilly and Dermot Kennedy have gone directly to the world-wide audience and, in the process, carved out a new path to stardom. Social media has also brought about a conversation between visual artists and the audience which never existed previously and it has profoundly changed the way we buy art - more than 80pc of all art was bought online last year. With one fateful "follow", the respected eyes in the industry can consider an artist's work on a daily basis - one glowing mention in The New York Times was all it took to fan the hype and buzz around Mariechen Danz. Even more traditionally structured fields like fashion and theatre have been profoundly changed by social media. Instagram has become more influential than any fashion magazine and online reviews have been an amplification of the age-old power of word-of-mouth buzz. The digital age has made voracious talent scouts of us all. 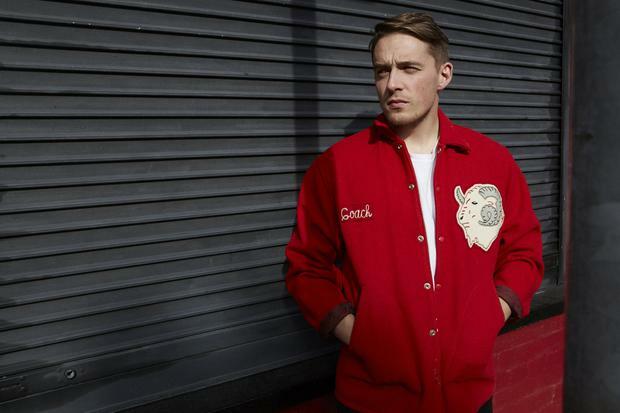 To understand how much of a musical sensation Dermot Kennedy is, you only have to learn that all four of his forthcoming summer shows at the Olympia Theatre in Dublin sold out within minutes of going on sale, before the clock even chimed midnight on the new year. Those who have tickets may take this last chance to see Kennedy before he ascends into the superstar stadium-playing stratosphere. The 25-year-old, who is a nephew of RTE presenter Mary Kennedy, has not yet released a full album but the buzz about his talent has already made him an enormous fan favourite - he has almost four million streams a month on Spotify - and he has sold out shows as far afield as Cologne and Chicago. BBC DJ Annie Mac declared his single Power Over Me the hottest single in the world right now and he was also recently included on a Spotify playlist which was handpicked by Taylor Swift. Like many so-called overnight successes, Kennedy's recent ascent actually took a lot of luck and graft. He grew up on the outskirts of Dublin, near Wicklow, and after secondary school he studied music in Maynooth, during which time he was inspired by other Irish artists, particularly Glen Hansard (who would a number of years later invite Kennedy onstage after hearing him perform) and Conor O'Brien of the Villagers, to start writing his own songs. Welsh singer-songwriter David Gray was also a big early influence. Kennedy served his time busking and performing at open mic nights around the centre of Dublin, particularly in Bruxelles off Grafton Street. He would send out more than 100 emails a day to record companies in the hope of getting noticed. His early sound had a touch of Ed Sheeran about it; a sort of acoustic troubadour style that quickly gave way to a darker, more electronic sound that is heavily influenced by hip hop and one of his ultimate heroes, Justin Vernon, aka American singer-songwriter Bon Iver. Kennedy is very much a digital generation success story. While record companies paid his sound little heed, representatives from Spotify asked to meet him after one of his tracks, After Rain, was selected by their algorithm, which monitors popularity of new artists among the listening public. After that meeting the streaming service began to promote him and he gained even more traction online. Half a dozen of his songs have over one million views on YouTube. Because he writes and makes all his own music he also collects the royalties. His Spotify popularity alone reportedly generates an income of approximately €20,000 a month. The Olympia is not the only venue Kennedy has sold out in this year of his first world tour. There are also no tickets left for his summer show at the Brixton Academy in London nor at Manchester's Albert Hall. He recently finished filming the video for his new single, For Ireland Fires, on Inis Mor and has been selected to perform at the prestigious Coachella festival later this year. He told MTV that he doesn't want to fit into any musical "box". "I could do the whole lyrical thing and chase that and just play the guitar and just like stay in that comfort zone, but what I'm doing now feels like a lot of fun." The video game industry is now worth nearly €100bn - that's more than the music industry and Hollywood combined. So it's little wonder, perhaps, that gaming would eventually attract some of the brightest young creatives on the planet. Among those is 33-year-old Irish animator and filmmaker David O'Reilly. His distinctive, vividly beautiful 3-D film sets shuttle between serenity and chaos and have won him renown far outside Ireland. His star has steadily been in the ascent since he left Ireland 10 years ago. 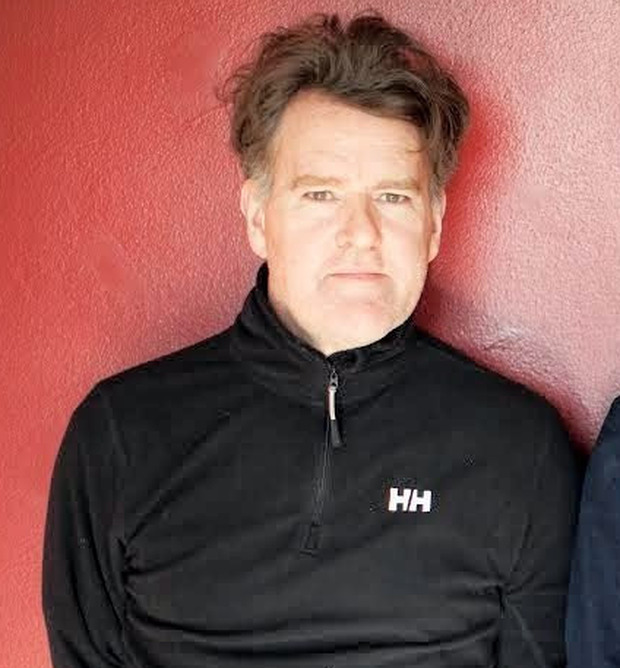 He created the video for the U2 single I'll Go Crazy If I Don't Go Crazy Tonight and has collaborated with a number of major filmmakers, including Spike Jonze and Garth Jennings. O'Reilly grew up in Kilkenny, where his father, Patrick, was an artist. In a county famed for hurling, young David had the handicap of not having much of a penchant for sport. He loved drawing, however, and when he attended a course which was run by the Young Irish Filmmakers' Collective he realised that it might be possible to draw for a living. After finishing school, he went to IADT in Dun Laoghaire to study animation. By then he was already making his own short films and working on commercial commissions. He quickly discovered that the real work was overseas and moved first to London, then to Italy on a scholarship, and finally to Berlin where he stayed for two years. He gained international notice around that time with his short Please Say Something, a futuristic take on the traditional cat-and-mouse tale. That film won the Golden Bear for Best Short Film at the Berlinale in 2009, as well as a slew of other festival awards. That same year he was commissioned by the rapper M.I.A. to design visuals for her Coachella performance. California was calling: after moving to his current home in Los Angeles his career began to gain added momentum. Working with a small team, he explored a decidedly non-traditional approach to animation, and had the chance to work on a music video for Beck, as well as segments for Garth Jennings's The Hitchhiker's Guide to the Galaxy. He also became known to a wide audience for his work on Spike Jonze's film Her, for which he created the animated sequences with the air-headed and sweary character in the video game played by Theodore. O'Reilly's own film, The External World, received its world premiere at the Venice Film Festival and screened at Sundance, as well as dozens of other international festivals. Over the last five years O'Reilly has released two video games, Mountain (featuring questions "more psychologically invasive than anything Facebook wants to know about you") and Everything, a simulation game in which the player can be anything from bacteria to a galaxy. Mariechen Danz, an Irish-born artist, has made her home in Berlin, where her amalgamation of live performance, sketches, videos and sculptural installations have made her one of the brightest stars on the city's arts scene. Four years ago Monopol, the city's art bible, named her one of the most promising new talents; two years later she was featured at the Venice Biennale, where her installation was named one of The New York Times's Top Ten Best Things at the event. The 38-year-old grew up in Dublin and studied art and design at Sallynoggin College, before moving to the German capital when she was 19, and living for a time in a former factory complex in Kreuzberg. Berlin was a truly artist friendly city at that time, with affordable rents and a network of interesting subcultures. Danz's apartment doubled as her studio and included a schoolroom anatomy model and one wall covered with a blackboard featuring chalk drawings of skulls and hands. Danz studied the history of anatomy and her work became known for the investigation of documenting or communicating knowledge outside Western canonical histories, which were used by societies (such as the Mesoamericans) for thousands of years, but have been disregarded. Her Biennale Show, for instance, featured a room of exploration, which had a soulful stream of music from a video panel beckoning the viewer in; Venetian mud coated the entire room; and three anatomical sculptures offered a glimpse into the human body. Along the walls were maps from Babylonia throughout the 20th Century, giving the sense of a journey through history. "I wanted to make a map where we could talk about how to ask questions about how to access knowledge and especially scientific imagery, the mappings, and then anatomy," Danz explained. 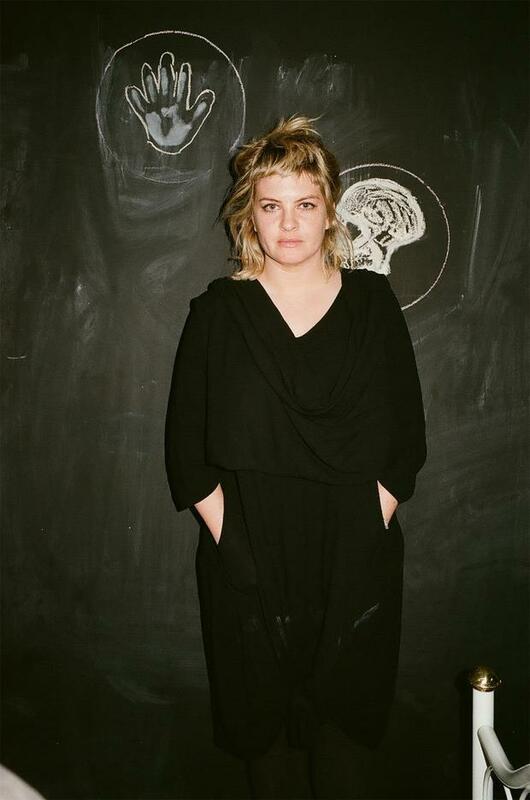 Her work has also been exhibited at Palais de Tokyo, Paris; New Museum, New York; and at the Centre Pompidou, Paris. Last year her interactive show The Dig Of No Body caused a minor sensation in New York, where it was displayed on the high line, the outdoor path which runs high along the western side of Manhattan. The installation broke a human figure into individual moving parts made of soil, shells and clay, encased in plastic. "It's a body in slices', Danz explained, "like a geology sample." Danz divides her time between Dublin, Berlin and New York. She is the sister of noted Irish jewellery designer Julie Danz of Juvi jewellery. From Shakespeare to Mae West actors have always written and directed their own material, but few have done it with the creative aplomb of Mikel Murfi. Over the last few years the inexhaustibly multi-talented Sligo man has brought new life to the One Man Show and wowed critics on both sides of the Atlantic. The Man In The Woman's Shoes and I Hear You And Rejoice showcased Murfi's skills as an actor, ventriloquist, impersonator and one-man foley artist, and conjured an entire rural community. He has the body of a farmer, one critic noted, but could embody every living thing, from a bee to a small town matriarch. The Man In The Woman's Shoes referred not to transvestism but to a cobbler who wears women's shoes to 'break them back in' after repairing them. The New York Times called Murfi "a many-tongued wonder of Irish storytelling". Murfi's unusual versatility dates from his college days. He studied at UCD where he was active in DramSoc and developed a taste for writing his own material. In those years he never had any real ambition to make a living from acting. After college, the writer/director Gerry Stembridge gave him a job in television and that leap of faith gave Murfi the "kickstart" he needed; he went in search of more training. He studied at Jacques le Coq school in Paris, and in the early 1990s he was one of the founding members of the Barabbas trio, devising and performing in productions, which gradually saw a physical, non-literary theatre tradition emerge from the outskirts of Irish theatre. Although he had small onscreen parts in those years - most notably in The Commitments and The Butcher Boy - it was on the stage that Murfi continued to make his name. He was a frequent collaborator with playwright Enda Walsh - Ballyturk (alongside Cillian Murphy), The Last Hotel and The New Electric Ballroom were among the pieces they worked on together. Last year the Sligo man also starred in choreographer Michael Keegan-Dolan's unique and very Irish take on Swan Lake, in which Murfi again played a number of different characters, sometimes in the same scene. 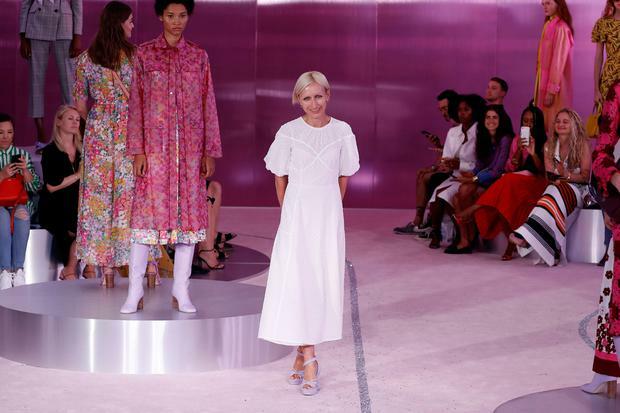 At New York Fashion week last month, Maggie Gyllenhaal and Julia Garner were among the stars in the front row for Nicola Glass's second show for the Kate Spade label. It was a huge moment for the label and for Glass herself. Following the tragedies of last year - Spade took her own life and her father died the day before her funeral - the shows were particularly significant, and Glass did not disappoint. Despite her background in accessories, the 46-year-old pulled off a critical coup - reviewers were gushing in their praise - and the show saw electric 1970s inspired prints and reworked classics like the label's iconic spade symbol artfully hidden in prints. Actresses Priyanka Chopra and Olivia Wilde were both seen wearing her dresses after the show, which Glass said she wanted to be a simulation of "raiding an insanely glamorous woman's closet, and the rich, eclectic mix you'd find that you could make your own". Glass was always destined for great things. She grew up in Antrim, with an identical twin sister (Tara Barwick, now a London-based radiologist) and was a pupil at Belfast Royal Academy, where art was her favourite subject. She went to Edinburgh University to study architecture, before quickly shifting to Edinburgh Art College where she gained a BA in jewellery design. From there, Glass went on to gain a masters in fashion accessories at the Royal College of Art, London. After graduating, she briefly worked for British company Bamford before joining Gucci, and was the only handbag designer on the team who wasn't Italian-born. In 2004, she landed the role of senior vice-president of accessories design at Michael Kors in New York, fulfilling her dream of living and working in the Big Apple. The move to Kate Spade last year gave her even more creative freedom, and the consensus is that she has risen to the challenge. After the Fashion Week shows, Harper's Bazaar gushed that Glass's creations honoured the late founder's vision, and "also modernised the brand, proposing fluid silhouettes, lots of pattern, and an understated sensuality via cutout details and liquid satin fabrics". By Craig Simpson, Press Association Ministers have moved to keep a rare drawing worth £11 million in the UK. By Laura Harding, Press Association Senior Entertainment Correspondent Idris Elba declares himself as “black Superman” in the latest trailer for Hobbs And Shaw.